Would you like the book and live outside Australia? Shipping within Australia only. PDF digital delivery internationally. Buy a Hypnosis Script online or by mail. Which script would you like? I’d like to acknowledge Stephen Peach who produced the music to go along with the recordings. 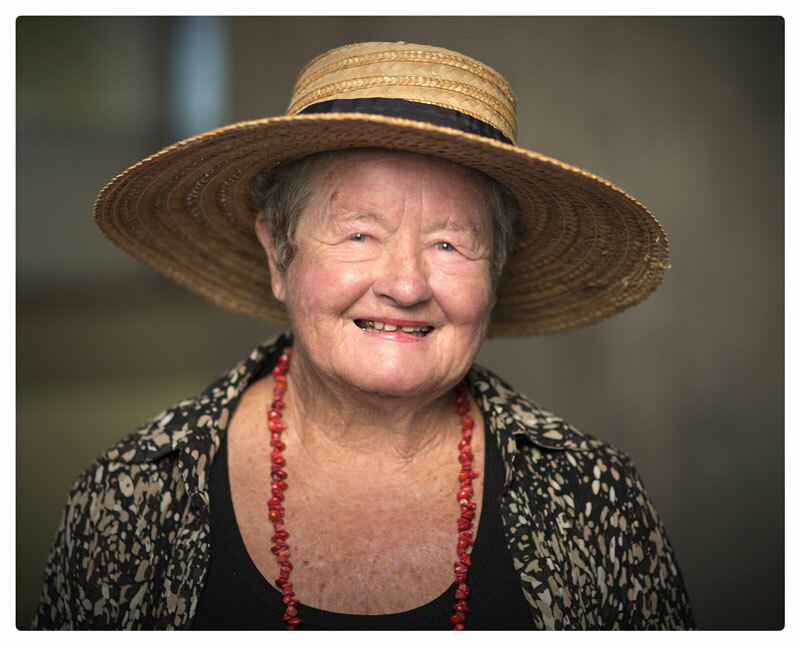 I graduated in Psychology from the University of New South Wales in 1970 and worked as a counsellor to university students and staff, next at an employee assistance company, and I have been in private practice since then. 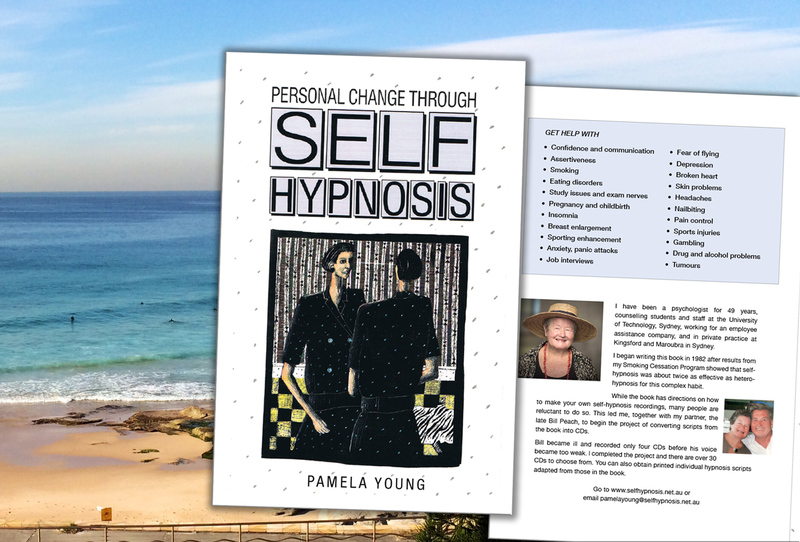 I began writing this book in 1982 after discovering that self-hypnosis is at least twice as effective as hypnosis by another person (hetero-hypnosis) for reduction or cessation of smoking cigarettes. I believe this also to be the case for other complex issues, such as eating disorders, substance abuse and gambling. The book was published in seven countries, including Italy and Iceland. In the book I have tried to replace popular misconceptions of hypnosis with the concept of the acceptance of suggestions to promote positive change. You will also become aware of the significant contribution Australian practitioners and researchers have made to the study of hypnosis. In addition to theories and known facts about hypnosis, the book contains basic hypnosis scripts and more than 70 specific scripts. The book and hypnosis recordings developed from the book are available online. Printed individual scripts are available separately, as are 40 hypnosis CDs. The CDs were constructed because it became apparent that not everyone was willing to make their own recording. My partner, Bill Peach (1935-2013) recorded five CDs before he became too ill, and I completed the project in 2014. Actually Bill recorded four professionally produced hypnosis inductions and the fifth he recorded when his cancer was at an advanced stage. I have reprinted the book to accompany the CDs, the online recordings and the printed scripts. It is helpful to understand many things about hypnosis before you embark on your own project. While the references in the book are obviously dated I find that none of the more recent findings negates or casts doubt on any of the material within. There have been some fresh therapeutic approaches, in particular Acceptance and Commitment Therapy and the concept of Mindfulness. However, at the 20th International Congress of Hypnosis in Paris in August 2015, researchers and practitioners were still attempting to understand and explain the phenomenon of hypnosis. They were in little doubt that hypnosis had established itself as a legitimate treatment method, partly due to advances in brain imaging (the changes in brain activity during hypnosis are startling) and neuroscience. There was a large increase in the number of papers presented by doctors and dentists using hypnosis as the sole anaesthesic for complex surgery. Nonetheless, theories presented at the Congress, some involving electrodynamics, quantum physics, string theory, chaos theory and neuroplasticity, did little to shed light on the subject. Some of the current research evaluated the use of hypnosis to treat a variety of disabling conditions – post-traumatic stress disorder, anxiety, chronic pain, depression, cancer, allergies – and some tried to increase hypnotizability in experimental subjects by various means, to no avail. Many years ago my friend and colleague Dr. Barbara Newton, based her Ph.D. on driving brain waves to increase hypnotizability, also to no avail. This does not imply these experiments failed, but they do imply that hypnotic susceptibility is not amenable to manipulation. There were very few papers on self-hypnosis, and none of them dealt with people making recordings of their own hypnosis scripts. In my experience the expectation of success with either self-hypnosis or hetero-hypnosis ranges from close to 100% for concentration, motivation and exam nerves, slightly less for public speaking, public performance and job interviews, still high for sporting improvement, anxiety symptoms and sleeping disorders. I presented my Smoking Cessation research findings at the International Society of Clinical and Experimental Hypnosis and Psychosomatic Medicine Congress at The Hague, Netherlands, in 1978. Subjects using self-hypnosis showed a 75% drop in consumption and a 50% complete cessation rate. The group undergoing hetero-hypnosis were between half and a third as successful. Individuals differ and in my experience no amount of theorizing or testing for hypnotizability will predict what will actually work for a particular person. The worst outcome is that nothing will change. In my 48 years as a qualified psychologist and hypnosis practititioner there have been no untoward incidents. I would very much appreciate it if you would take the time to email me and let me know your impressions and experiences. Also please email me if you would like a telephone or email chat consultation. What is your impression of the book? What is the problem for which you need help? Have any changes occurred since listening to the recording? Did you make your own hypnosis recording?